One of my favorite pastimes has to be exploring out-of-the-way places for interesting sites to visit. While on a vacation to the Gulf Coast, my wife, oldest son and I stopped by a place, right off of I-65, 35 miles south of Montgomery in Alabama that is well worth your time to visit. It’s called Priester’s Pecans and it’s located in the small town of Fort Deposit. This little town of about 1,200 residents sprouted up during the Revolutionary War around a military ammunition depository. Also sprouting up, lots and lots of pecan trees, and that’s where this story really begins. 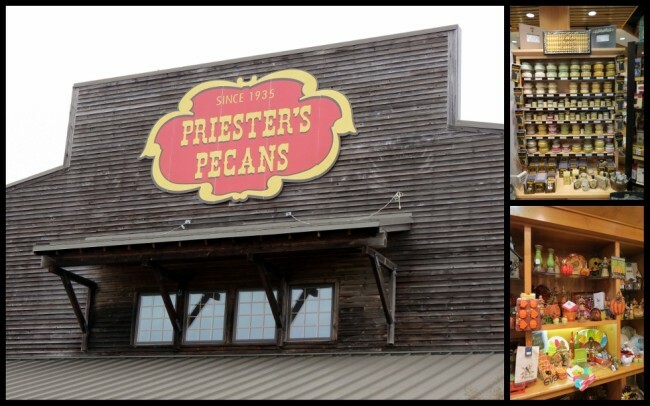 Priester’s has been in business for over 70 years and is a family business that focuses on everything pecan, and I do mean everything. When automobile traffic became a regular thing by 1935 motorists were stopping by the Texaco gas station operated by Lee C. Priester on a regular basis. As tourists’ expectations rose, and as they wanted more than just gasoline L.C. (as he was known locally) began offering them refreshments, and eventually locally-grown pecans, which became the beginning of Preister’s Pecans. 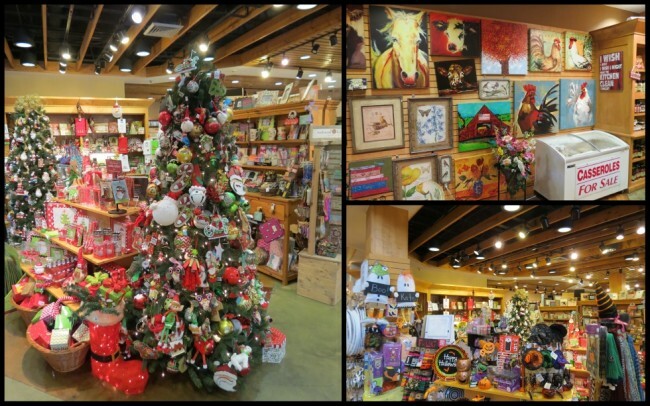 Today’s visitor can easily spend half a day exploring the over 5,000 square feet of displays with every imaginable form of pecans and pecan-related products. One great thing about Priester’s is that you can sample pretty much every manifestation of pecan they sell, for free. By the time we left I was stuffed with the rich and delicious offerings. And yes, we bought a ton to take home and enjoy later. 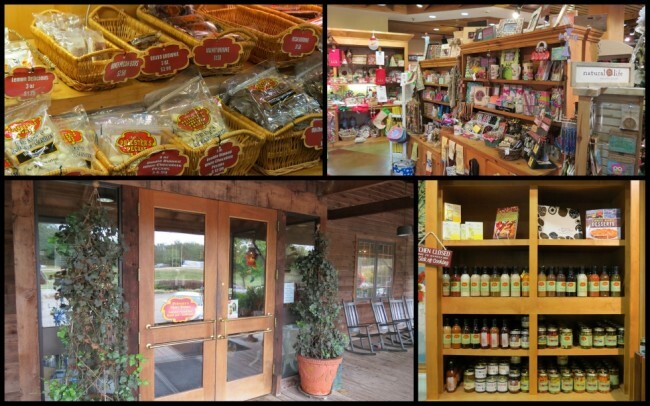 In addition to the pecans you’ll find; jams & jellies, baked goods, syrup varieties, dips & salsas, smoked meats, old-fashioned candies, gift baskets & cards and frankly, way too many things to try and list here. Hopefully you get the idea. To put it simply, the atmosphere at Priester’s is simply wonderful. 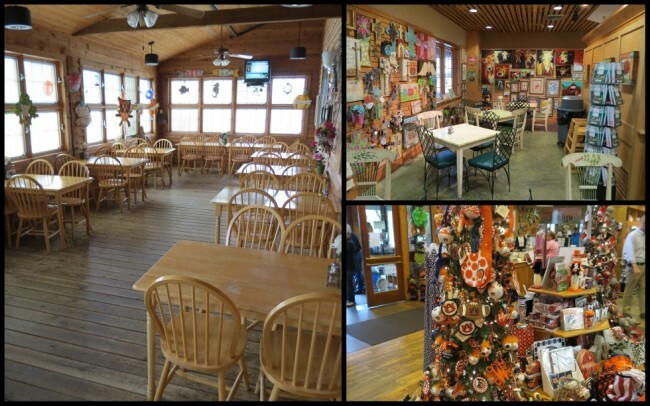 It’s a nice mix of Country Store, Christmas wonderland, and inviting Gift Shop. 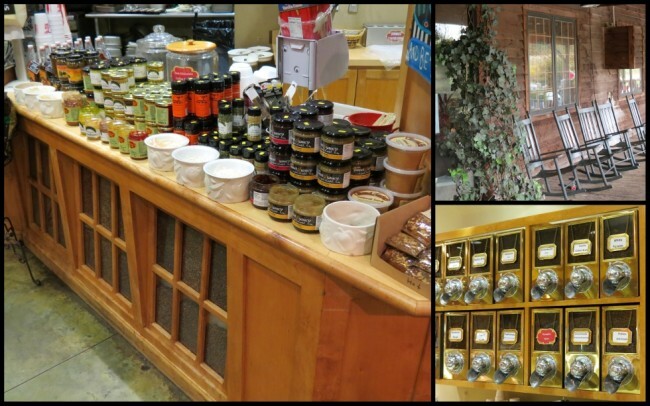 They have gourmet fresh-ground coffee available and a massive assortment of gifts for the most discriminating shopper. The store is spacious and even with a full parking lot there was plenty of room for everyone to explore, without being crowded. If by some chance you’re headed south for a vacation in Alabama, be sure to schedule it so you have a chance to stop at Priester’s for a fantastic rest stop. They have generous business hours, open 7 days a week from 8 am until 6 pm. They’re easy to find at Exit 142 right off of Interstate 65. If you’d like to talk to them in person, their number is; 334-227-8355. For more in-depth information you can also check out their website. Last and certainly not least, they offer a 100% Satisfaction Guarantee, and they mean it! Last modified on: July 22nd 2014.